Fed up with your Amazon packages being taken off your doorstep? Now you can get them delivered to your trunk. Amazon has launched “In-Car delivery” for millions of Prime members with certain vehicles who take advantage of Amazon Key. Amazon Key has been giving Prime members the option to have their packages left inside their home since last October, but many don’t feel comfortable allowing delivery drivers through their front door when no one’s home. Now there’s another option if you own a compatible vehicle from Chevrolet, Buick, GMC, Cadillac, or Volvo manufactured in 2015 or later. With Amazon’s new In-Car delivery service, you can have your packages left inside your trunk where no one else can get their grubby mitts on them. They can be delivered to your home, your office, or any other address in your Amazon address book within 37 cities and surrounding areas across the United States. 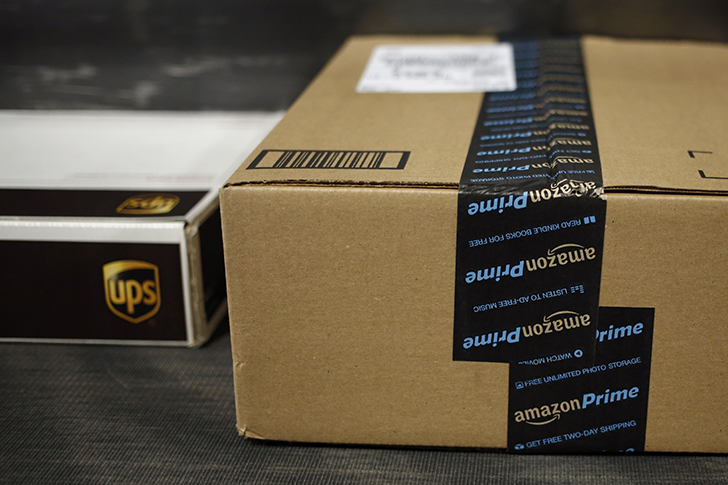 The service is free to Prime members and available on tens of millions of items on Amazon. To get started with In-Car delivery, you’ll need to download the Amazon Key app and link your Amazon account with your connected car account. Once setup is complete, your car will be available as a delivery option. On the day your delivery is due, you’ll be able to use the Key app to ensure your vehicle is parked within range of the delivery location, and you’ll be given a four-hour delivery window. You’ll also get a notification when your parcel is on its way, and you’ll be able to track when your car was unlocked and relocked in the activity feed. You shouldn’t have to worry about anything shady happening to your car or your parcels, then. This certainly sounds better than letting them sit on your doorstep all day while you’re at work.